Handmade with a statement lace, created by embroidering tulle with sequins and cording. 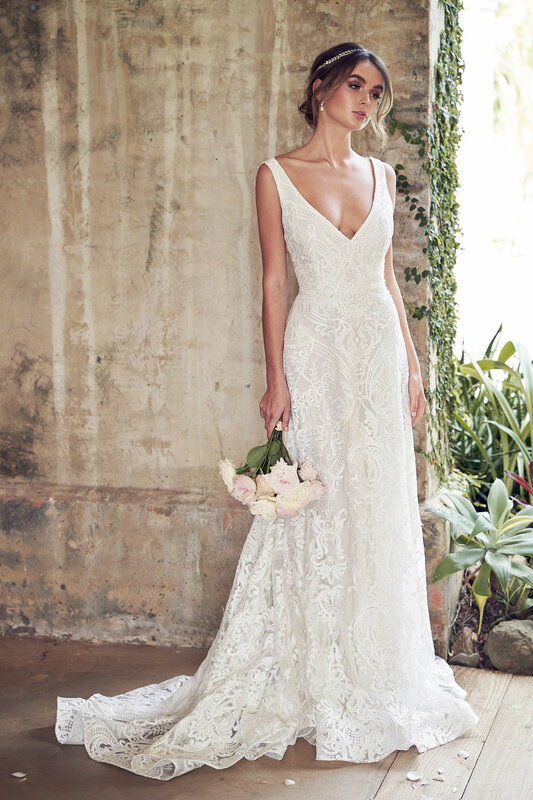 Deep neckline and low open back. All Jamie dresses feature a Powermesh lining and a sequin embroidered corded lace. Lining available in Ivory, Beige or Sand. Please select a skirt style for your Jamie Dress. My name is Bernadette, and I am your personal online stylist. I will be in contact with you shortly to assist you with exciting choices like colour, style, and sizing for your Jamie Dress.